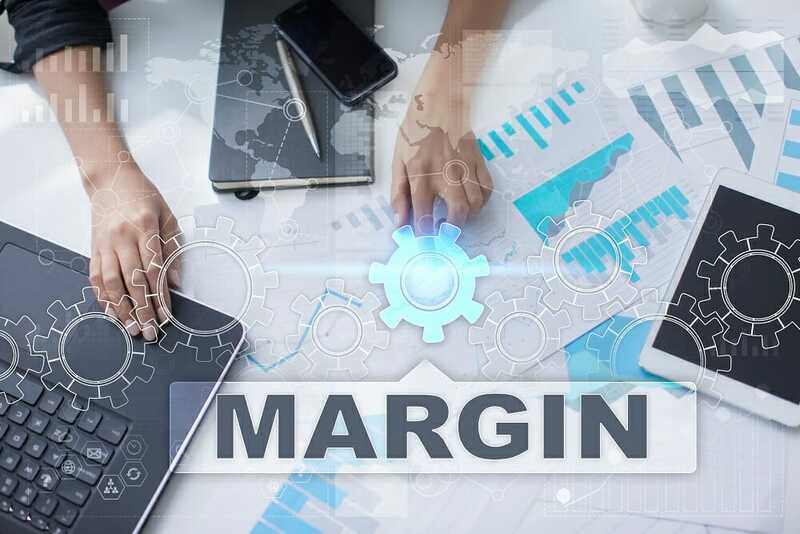 Margin trading is the act of borrowing funds from a broker with the aim of investing in financial securitiesMarketable SecuritiesMarketable securities are unrestricted short-term financial instruments that are issued either for equity securities or for debt securities of a publicly listed company. The issuing company creates these instruments for the express purpose of raising funds to further finance business activities and expansion.. The purchased stock serves as collateral for the loan. The primary reason behind borrowing money is to gain more capital to invest and, by extension, the potential for more profits. The cost of the loan differs from one broker to another. Similarly, margin loan rates vary. They can go as low as 1.6% or as high as 8%. In the United States, the margin loan rate is established in line with the federal funds rate, so it varies over time. On the surface, the practice sounds pretty simple. However, in reality, margin trading is a sophisticated process that carries significant risk. Due to the heightened risks, it requires a special account referred to as a margin account. This is different from the ordinary cash account that most people are used to. When purchasing stock, one can use either a margin or cash account. However, short sales can only be performed using margin accounts. In the same way, certain financial securities such as commodities and futuresFutures ContractA futures contract is an agreement to buy or sell an underlying asset at a later date for a predetermined price. It’s also known as a derivative because future contracts derive their value from an underlying asset. are also paid for using margin accounts. It requires no explanation that margin trading can amplify an investor’s gains significantly. However, it can also increase his losses. In fact, investors can end up losing more than what they initially invested. Some traders think that being indebted to brokers is easier than dealing with banks or financial institutions. But in reality, this type of debt is just as binding as the one with banks. A margin call is when a broker asks the trader to add more money into a margin account until it reaches the required margin maintenance level. If the borrower has incurred too large a loss because of underperforming securities, the margin account may go below a certain point. When that happens, the investor will need to sell some or all of the assets in the account or add funds to meet the margin call. Depending on the terms stipulated in the margin loan agreement, a broker has the right to take action if the investor fails to live up to his promise. For example, if the investor is incapable of meeting a margin call, the brokerage firm can liquidate any remaining assets in the margin account. The rule of thumb here is that one should never invest a sum of money that he cannot afford to lose. Margin trading creates a risk of amplified losses. To illustrate this, consider an investor who borrows $1,000 to purchase $2,000 worth of stock. The investor needs to understand that any losses will be increased by a factor of two. They should only invest if they have sufficient funds to weather a temporary move against their position and meet a margin call, if necessary. Just because an investor has access to more capital doesn’t mean that he should squander it by investing in every stock on the market. The best thing that the individual can do is to invest small amounts first. With time, he can build up his confidence and gain enough skills to invest in riskier but more rewarding stocks. A margin loan is like any other loan. As is the case with a mortgageMortgageA mortgage is a loan – provided by a mortgage lender or a bank – that enables an individual to purchase a home. While it’s possible to take out loans to cover the entire cost of a home, it’s more common to secure a loan for about 80% of the home’s value. or a car loan, the margin account holder is required to pay a monthly interest charge. The longer he takes to pay the loan and the larger the sum of money borrowed, the higher the interest expense will be. Margin trading enables investors to increase their purchasing power by providing more capital to invest in shares. However, it is riskier than other forms of trading. As such, an investor should tread carefully when he or she is buying on margin. For one, such a trader should not invest money that he cannot afford to pay back in case things go wrong. Similarly, the investor should plan ahead for eventualities like a margin call. But, if it’s done efficiently, margin trading offers several benefits, such as the ability to diversify an investment portfolio. Spot PriceSpot PriceThe spot price is the current market price of a security, currency, or commodity available to be bought/sold for immediate settlement. In other words, it is the price at which the sellers and buyers value an asset right now.